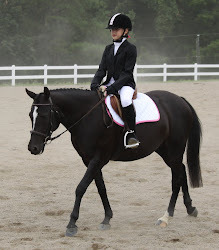 The dates for the 2012 Dressage Clinic Series with Lauren Sprieser at Sally Run have been added under the Dressage Clinics tab of this site. An April date will likely be added soon, and if everything stays on schedule, the new guest barn will be open just in time for the start of the series. So, we should have plenty of stabling this year, and we won't be playing musical ponies in the barn. Questions/Reservations can be emailed to caroline@sallyrun.com. We will need new coggins and signed clinic participation agreements for 2012, which I will email to you when you reserve a spot. Also, if you are planning to ride in multiple clinics, please list all dates on one copy of the agreement - then you will be good to go for the entire series.